Those who need assistance from a qualified, experienced attorney in Snellville, Georgia, come to the Rhodes Walls Law Office, LLC, for help. Representing clients in matters of personal injury, motor vehicle accidents, divorce and family law, attorney Rhodes Walls also focuses on workers' compensation, Chapter 7 bankruptcy and Social Security Disability insurance claims. 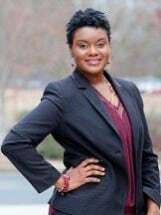 Along with clients in Snellville, she also represents those in Newton, Walton and Rockdale counties. Ms. Walls' focus is on the long-term interests of her clients while she also helps them meet their immediate goals. The law office stands out because of an emphasis on individual, personal service and respect for every client. With a dedication to offering competent representation to any person in need of legal help, she offers free initial consultations and accepts credit cards as payments in office. To be more accessible to those in need of help, Ms. Walls is happy to schedule weekend appointments when requested. Consultations can be done over the phone and are offered in 15-minute installments, and no up-front case preparation or attorney fees are charged. A flat rate is charged for uncontested cases, and all workers' compensation and Social Security Disability cases are offered on a contingency fee basis. At the Rhodes Walls Law Office, LLC, the goal is to come up with reasonable ways to represent as many of the citizens of Snellville as possible. The office will make payment arrangements for those who require them and provide aggressive representation in many matters of litigation. Attorney Rhodes Walls has been through her own divorce and understands how daunting the legal system can be; she strives to make it easy on her clients whenever possible. Rhodes Walls Law Office, LLC, is a debt relief agency. We help people file for bankruptcy protection under the U.S. Bankruptcy Code. Attorney Laws is different from other Attorneys. She explains things and how they work. She is working for you and not trying to drag the process out for personal gain. She keeps it real and does not sugar coat it so you are not blindsided. Finally, she is good and will get you the best result the law will allow.